"To whomever has work-loving Martha, who symbolizes comprehensive good works, and who has Mary sitting at Jesus’ feet, symbolizing an attentive and warm appeal to the Lord with all the heart, the Lord Himself will come and will resurrect Lazarus, who symbolizes his spirit, and will release him from all his emotional and fleshly bonds. Then a truly new life will begin in him, body-less in the body and unearthly on the earth. It will be a true resurrection in the spirit before the future resurrection, which will be together with the body!" Fr. 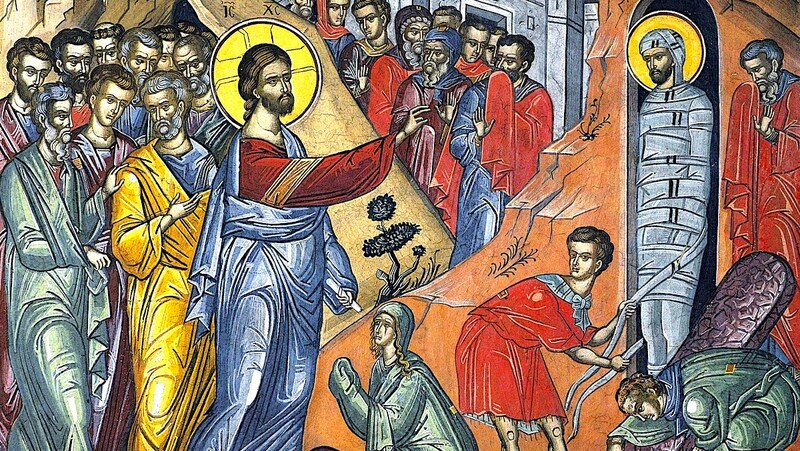 John Whiteford of St. Jonah Orthodox Church (ROCOR) in Spring, TX shares about the raising of Lazarus, from the Gospel of St. John, chapter 11.